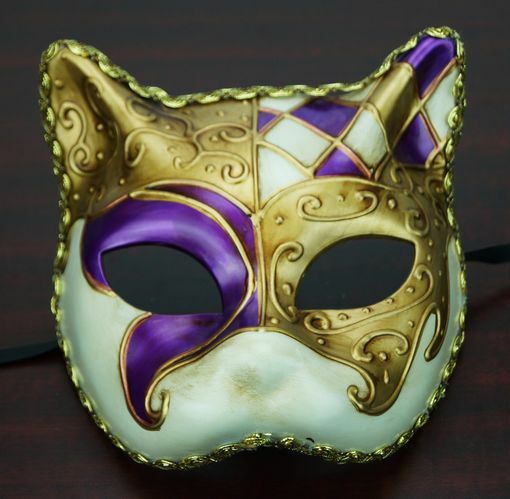 This Venetian cat mask is hand painted with ribbon trim around mask. The mask is made of a strong molded plastic more durable than paper mache. Color purple and gold.